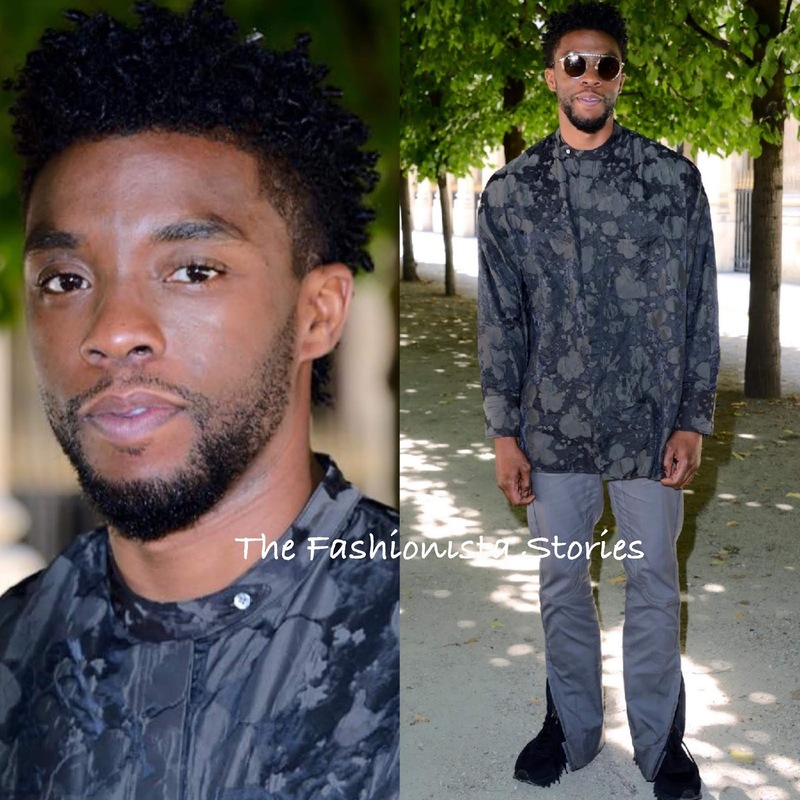 Following his attendance at the MTV awards, Chadwick Boseman headed across the pond to attend Paris Men's Fashion Week. The 'Black Panther' star witness history as Virgil Abloh made his Spring/Summer 2019 collection debut as the creative/artistic director of Louis Vuitton mens. When it comes to his red carpet style, Chad has always been at the top of his game serving up winning fashion looks. He wore a custom look from the SPRING 2019 collection which featured a grey floral shirt and grey side zip pants. His look which had a sporty vibe, was accessorized with round sunglasses and black sneakers which topped off his look. I actually like this, especially the top. Are you feeling Chad's LV look?